Since 1971, I have interviewed many Indian players and some coaches and umpires who have made a name in their respective sports – nationally and internationally.These interviews have appeared in leading newspapers such as the Hindustan Standard, The Statesman, Delhi, The Hindustan Times and Rajasthan Patrika. The interviews have also been published in well- known magazines such as Sportsweek, SWARAJYA, Weekend Review, Children’s World, Sun, Woman’s Era and ALIVE. The people interviewed include Deepa Malik (Paralympics), Gurbachan Singh Randhawa ( Athletics ); Manuel Aaron and S Vijayalakshmi ( Chess ); Mansur Ali Khan Pataudi, Jaisimha, Prasanna, Chandrashekhar, Venkataraghavan, Bedi,G.R. Vishwanath, Solkar, Gautam Gambhir, Unmukt Chand, Shanta Rangaswamy, Diana Eduljee, Mithali Raj , Jhulan Goswami, Swarup Kishan and Tarak Sinha ( Cricket ); S Manna, S Mewalal and P K Banerjee, ( Football ); Anirban Lahiri, S S P Chawrasia, Nonita Lal and Aditi Ashok ( Golf ); Balbir Singh Sr, Leslie Claudius, Gurbux Singh, Harbinder Singh, Mohinder Lal, Ajitpal Singh,Ashok Kumar, Md Shahid, Mamta Kharab and the great administrator Ashwini Kumar ( Hockey ); Abhinav Bindra, Col. Rathore and Vijay Kumar ( Shooting ); Kamlesh Mehta, Indu Puri and Manika Batra ( Table Tennis ); Naresh Kumar (Tennis ); Sushil Kumar and Sakshi Malik ( Wrestling ) and Dipa Karmakar (Gymnastics). Mr. Vijayan Bala who is 66 years young (born on 10 October 1951) is basically an educationist who has taught English in reputed schools such as Don Bosco (Park Circus), Modern School, Barakhamba Road, New Delhi and St. Xavier’s, Old Delhi; been Vice Principal at the Army Public School, Dhaula Kuan, New Delhi and finished off as Prinicipal, Raunaq Public School, Ganaur near Sonepat. In the schools he has worked in he was greatly involved co-curricular and sports activities. He has been a mentor for English teachers of Bal Bharati Schools, Delhi NCR and has also conducted workshops for English teachers in different schools. He has also written English help books for ICSE and ISC students. In the field of Sports, he has written freelance from the age of 18 for annual publications such as INDIAN CRICKET, magazines such as Sportsweek, Sportsworld, Weekend Review, Sun and Alive and Woman’s Era (the last two are Delhi Press publications) and newspapers like Hindustan Times. He has been on the statistical committees of the Board of Control for Cricket in India and the Cricket Association of Bengal. 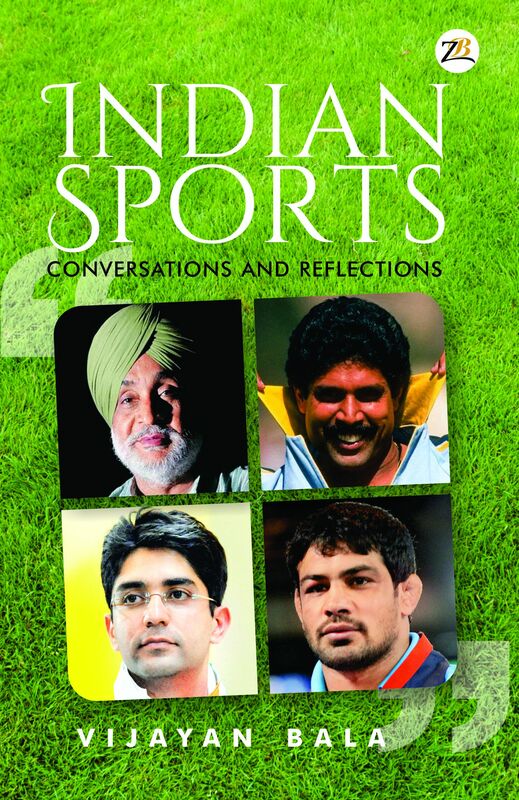 He has also written two books on Cricket Statistics published by Vikas, Delhi and Konark, Delhi with forewords by Mr. Vijay Merchant and Mansur Ali Khan Pataudi respectively and a sports quiz book (with a foreword by Col. Rathore – Olympic medalist and Union Minister) published by Roli Books, Delhi. He has been a commentator for All India Radio and Doordarshan covering Cricket, Hockey and Football.He has also passed the state level umpiring exam held by the Delhi and Districts Cricket Association.